Table decorations. They didn't get married in a bus, don't worry. Ah, one of my favourites, this one. 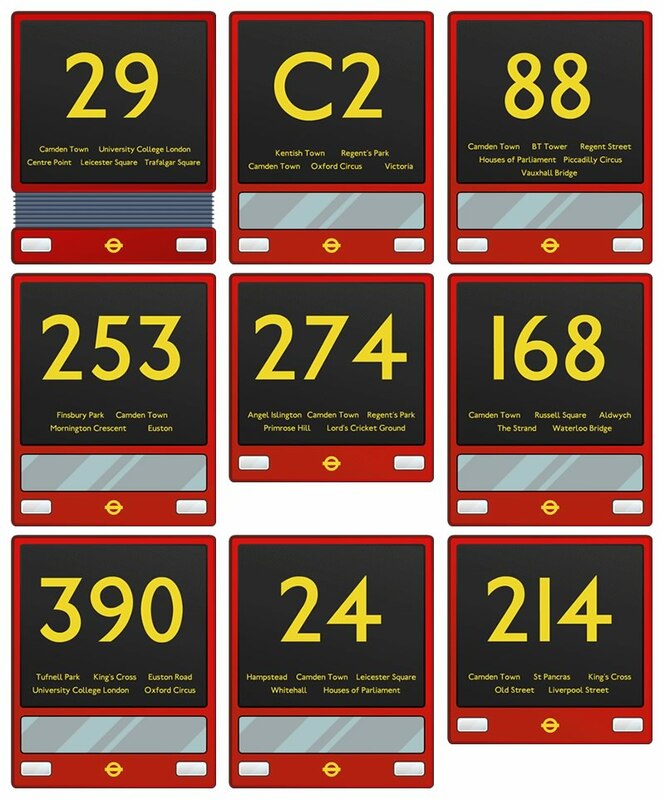 When your brief is ‘we love the buses and we want the table decorations to be north London bus routes so if you can somehow make that and maybe a map and what have you’ or thereabouts, you know you’re a bit under the cosh. But then – conversely – without money changing hands you’re also aware that you’ve got more artistic license than normal. I think in their collective head the original idea was for everything to be ACTUAL buses. Like photographic representations of buses or something like that. Uh uh. No way man. You’re not going to see that. They’re never going to stand out. You need the boldness. You need the numbers. The numbers are premium currency. So this is how you do it. Traditionally I hate London buses, as to me they’re all just future late night knife crime scenes, but I learnt to love* them over this weekend. The single deckers, the double deckers and them ones that look like an accordion.